February is the shortest month, which means small business owners must start preparing for March. While the third month of the year has some major holidays like St. Patrick’s Day and Easter that independent companies can use for marketing purposes, the minor celebrations can be even more fun. March is full of offbeat days that are perfect opportunities for local businesses to hold promotional giveaways. Local entrepreneurs should celebrate minor holidays and attract consumers with unique promotional products. 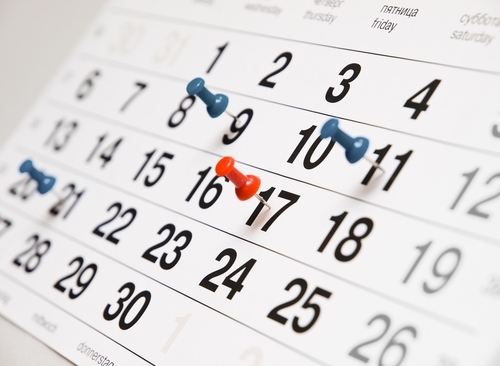 Consider scheduling a promotional event on one of the following days. March 14 is every mathematician’s favorite day of the year because of its numerical significance. National Pi Day celebrates the most important irrational number known to mankind. The number is commonly rounded to 3.14 because it is a never-ending, non-repeating sequence. According to PiDay.org, the U.S. House of Representatives passed legislation in 2009 recognizing the importance of March 14. Branded calculators are the perfect promotional marketing products to distribute on National Pi Day. Small businesses can give the gifts to customers who have trouble working with irrational numbers. Students and other young customers will certainly appreciate the calculators when they are doing their math homework. The first day of spring is not an official holiday, but many consumers celebrate because it means that warm temperatures will be arriving shortly. According to The Old Farmer’s Almanac, the spring equinox is on March 20 this year. Small business owners should help their customers enjoy the changing of the seasons by preparing for spring’s weather. Proper hydration is important as the temperature starts to climb. Promotional water bottles are the best gifts to ensure that customers can quench their thirst and battle the warm climates. Additionally, spring is traditionally a very rainy season, so small businesses should distribute branded umbrellas to help their clients stay nice and dry. Pencils and erasers were not always attached. Pennsylvania State University writes that the two tools were not officially combined until March 30, 1838, when Hymen Lipman patented the first pencil with an eraser. The functional innovation should be celebrated by every American. Small business owners should distribute branded pencils as promotional items during their giveaways. The small gifts should have the date inscribed on the outside to ensure that consumers understand the significance of March 30 and truly appreciate Lipman’s innovation.